Founded in 1975, TD Ameritrade is a publicly traded online brokerage (symbol “AMTD”) that is home to over $1 trillion in client assets. The brokerage services over 11 million customer accounts and processes over 900,000 trades per day. In exchange for their higher cost per trade than other brokers – $6.95 for stock trades and $6.95 + $.75 per contract for options trades – TD Ameritrade delivers an exceptional offering across the board. Technology and innovation are central parts of the TD Ameritrade way. I have been a TD Ameritrade account holder for over 15 years and continue to love the overall experience, especially for traders, and this review will show why. The desktop platform, thinkorswim, is terrific. Thanks to technology and artificial intelligence (AI), customers can access TD Ameritrade quote and account functionality everywhere, from Alexa to Facebook and even Twitter. TD Ameritrade runs its own media network, it broadcasts market commentary, and offers interviews and educational segments every trading day. Pricier stock and options commissions. At TD Ameritrade, you pay for what you get. Consequently, trading is more expensive than most other brokers. 4,168 no-transaction fee (NTF) mutual funds. Thanks to an industry price war in 2017, commission rates are much lower than they were two years ago ($9.99 vs. $6.95 today). Any commission-free ETF sold within 30 days of purchase is subject to a short-term trading fee of $13.90. 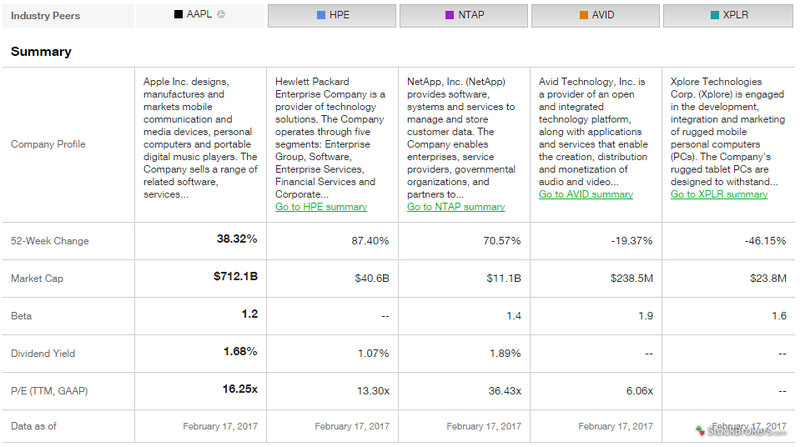 Once again, for the eighth successive year, TD Ameritrade is number one in terms of platforms and trading tools, thanks to thinkorswim. TD Ameritrade's thinkorswim is home to an impressive array of tools. These include company profiling, advanced earnings analysis, plotting FRED data, charting social sentiment, back testing and replaying historical markets tick by tick, or viewing economic and corporate calendars. The brokerage also enables traders to create and conduct real-time stock scans, share charts and workspace layouts, and perform advanced options analysis. The rabbit hole goes as far as any trader's imagination will take them. It’s a dazzling offering of choices that will set your mind spinning – in a good way. Run as a desktop application, thinkorswim is so advanced it is rivaled only by TradeStation. A few clicks of the mouse will have dozens of charts streaming real-time data, and even the pickiest trader will be satisfied with the 400+ technical studies available for each chart (the highest in the industry), not to mention the fact that each study can be customized using thinkscript, thinkorswim’s proprietary coding language. The thinkorswim Earnings Analysis tool is my favorite for planning ahead for earnings releases and assessing each company's results afterwards. The tool plots price action and volatility before and after previous releases. It also pulls data from Wall Street analysts and crowd-sourced ratings from Estimize to plot EPS estimate ranges alongside actual results. The whole experience brings clarity with much less noise. It’s awesome. 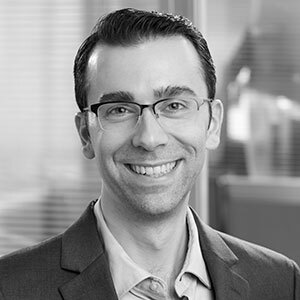 TD Ameritrade used to offer a web-based platform, Trade Architect, which was great for casual investors due to its focus on simplicity. It was finally shut down in 2018 because it was flash-based and unsupported by modern browsers. As of this review’s publication in February 2019, a new platform had not been launched to take its place. Like its biggest competitors, TD Ameritrade has a substantial research offering. Traders will feel right at home, thanks to the TD Ameritrade Network and unique line-up of tools. 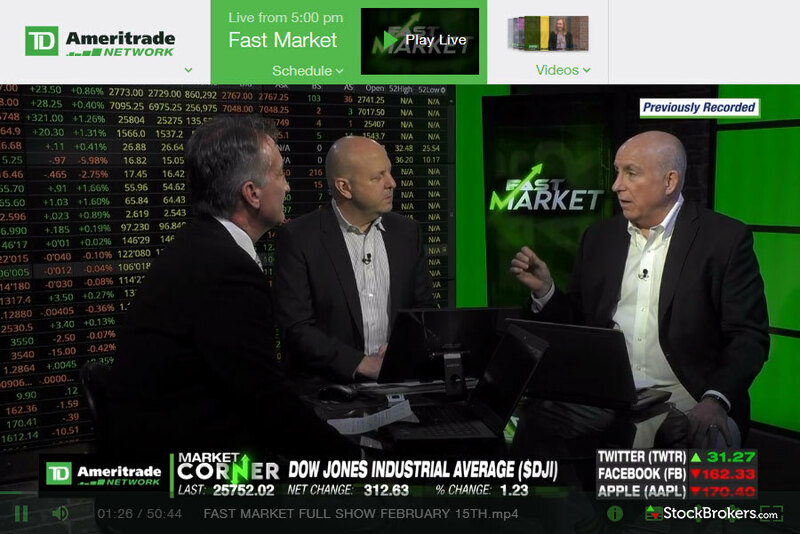 The TD Ameritrade Network, TD Ameritrade’s live streaming financial network, broadcasts live every day from 8:00 ET to 5:00 ET, and includes an excellent mix of market analysis as well as trader education. TD Ameritrade also provides written daily market commentary and analysis through The Ticker Tape. Content is widespread, covering day-to-day markets as well as general finance, savings, retirement, and trader education. 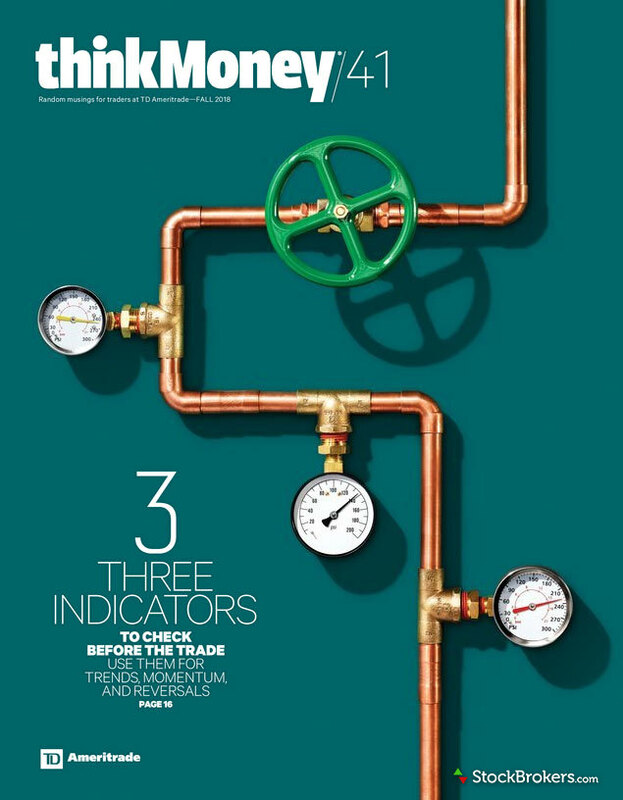 Together with The Ticker Tape, the broker publishes thinkMoney, TD Ameritrade’s quarterly print (and digital) magazine, which focuses entirely on education. 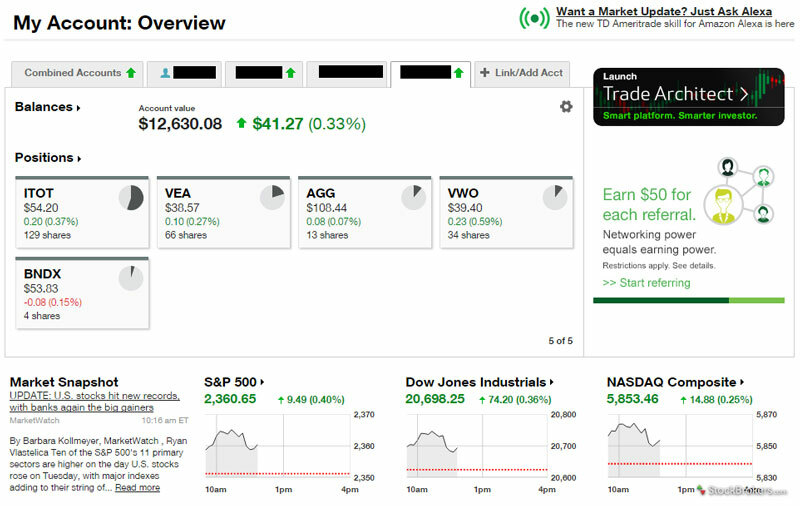 TD Ameritrade's website includes a handful of unique tools. For example, the Social Signals tools displays both a real-time streaming feed of algorithmically filtered brand-relevant tweets – which I found much better than seeing a list of recent StockTwits tweets – and a summary chart of the most-tweeted brands. For investors who have multiple holdings that pay dividends, the Income Estimator tool is also very useful. The tool is self-explanatory – just import your portfolio holdings or enter custom positions to view a complete income breakdown. What I like most is the easy-to-use interface and instant takeaways. Does the TD Ameritrade Network compete head-to-head with such mainstream networks as CNBC, Fox Business, and Bloomberg? No. But it’s a great foundation, and its quality is beyond doubt; oh, and there isn’t an endless stream of commercials. On the whole, TD Ameritrade does a nice job with its articles. They tend to lean more towards an audience of traders over long-term investors. This is especially true with education. For stock and options trading, TD Ameritrade is great. For long-term investing and retirement-related content, I prefer Fidelity Viewpoints and Schwab Insights. While charting on the website is impressive, there is a noticeable lack of panning flexibility and zooming into the charts themselves. Upgrading to a full HTML 5 charting package such as ChartIQ down the road would resolve this minor drawback. Of all the brokers, TD Ameritrade has the most tech-focused mobile offering. With AI central to its long-term strategy, TD Ameritrade is literally everywhere. Looking at apps specifically, Mobile Trader is my top pick for traders in 2019. With mobile, TD Ameritrade took a different approach by offering not one, but two smartphone apps: TD Ameritrade Mobile and TD Ameritrade Mobile Trader. TD Ameritrade Mobile is designed for casual investors, while TD Ameritrade Mobile Trader is designed for the feature-hungry active trader. TD Ameritrade was one of the first brokers to offer an Alexa Skill, and in August 2017, it became the first broker to integrate with Facebook Messenger, embracing the future of artificial intelligence (AI) with its own chatbot. The latest addition in 2018 was Apple Business Chat, which I am using more and more frequently to grab quick stock quotes. Bottom line, if you appreciate technology and AI, you will enjoy TD Ameritrade. Looking at specific functionality, TD Ameritrade Mobile Trader is “where the magic happens.” The best way to think of Mobile Trader is to think of the thinkorswim platform in app form. The combination of effective design and advanced trader functionality is a winner. On the other end, TD Ameritrade Mobile can be considered a natural extension of the TD Ameritrade website. Functionality is still comprehensive, but not as deep as Mobile Trader. Because of its focus on investors over traders, TD Ameritrade Mobile provides a superior research and education experience. For example, quotes include six third-party ratings and PDF reports from the website, whereas Mobile Trader doesn’t. Watch lists created on the website only sync with TD Ameritrade Mobile, while watch lists on thinkorswim only sync with Mobile Trader. TD Ameritrade Mobile lacks a customizable dashboard, which I feel opens the door to much more relevant account personalization and insights, especially for investors. In comparison, this is an area where Fidelity's mobile app shines. TD Ameritrade provides everything one might expect of a full-service brokerage. Full spectrum of investment services provided, everything from stock trading to retirement guidance. Futures and forex trading are also offered. When it comes to international trading, TD Ameritrade customers can only trade US and Canadian-listed securities. Excellent education makes TD Ameritrade an easy winner for beginners. Content is organized into courses with quizzes, and the website gamifies learning by awarding points alongside badges to encourage further education. Over 200 videos are available, including endless articles through thinkMoney magazine and The Ticker Tape. Hundreds of optional webinars and educational sessions are provided every month. In our testing, TD Ameritrade was the only broker to score a perfect 100%. Customers who bank with TD Ameritrade are not protected by FDIC insurance; however, the broker does provide basic services to customers. Like its closest competitors, TD Ameritrade also provides mobile check deposit, online bill pay, and ATM fee reimbursement. Unlike competitors Merrill Edge, Charles Schwab, and E*TRADE, TD Ameritrade is not a registered member of the Federal Deposit Insurance Corporation (FDIC), which insures bank deposits up to $250,000. Using multiple banking products in conjunction with brokerage yields no bonus rewards, which is where Bank of America Merrill Edge thrives. TD Ameritrade is a technology-focused company that just gets it. They understand their customers and the value of a high-quality user experience, and they know what it takes to stay ahead of the competition. Any investor or trader, new or seasoned, will find TD Ameritrade a great fit for their needs. The main gripe with the broker is cost, but what you pay for is what you get, and the quality delivered by TD Ameritrade is undoubtedly worth the extra few dollars per trade. In 2019, TD Ameritrade is on top and finished first overall. Find out how TD Ameritrade stacks up against other brokers.